Kettunen Center offers complete meal service in the relaxed environment of our dining room. Menus change daily to ensure meal variety and appeal. Our culinary staff members are happy to accommodate those with alternate dietary requirements upon request. The buffet-style menus are healthy, wholesome and abundant. Kettunen Center is committed to providing high quality nutritious meals. We purchase as much fresh, locally grown and organic produce when possible. We are moving aggressively towards eliminating trans-fat and processed foods from our menu while providing delicious home cooked meals for your enjoyment. Most alternate dietary requests can be accommodated with prior notice. We pride ourselves on quality, freshness and appealing menus that meet individual and group dining preferences, making everyone feel welcome. 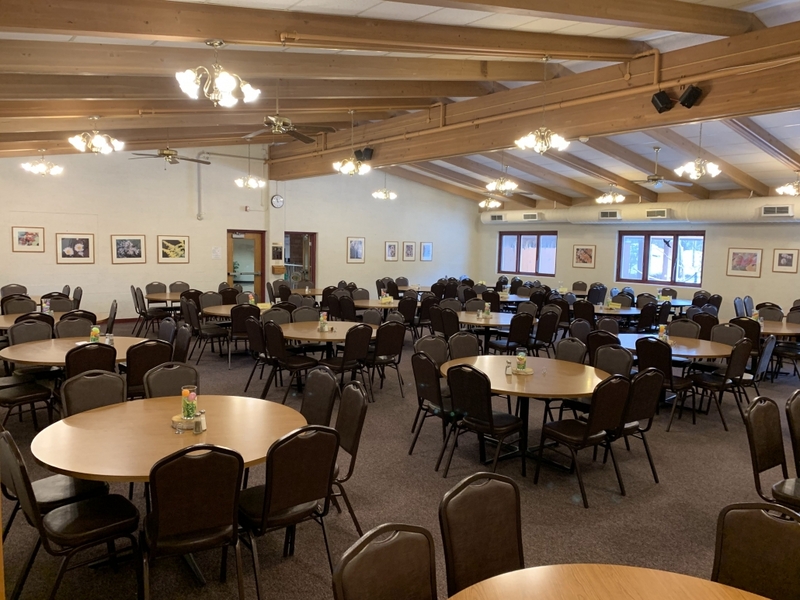 If you are being referred by someone who has previously been to Kettunen Center you’ve probably already heard great things about our food service. If this is your first time hearing about Kettunen Center, rest assured that you will eat very well during your visit. 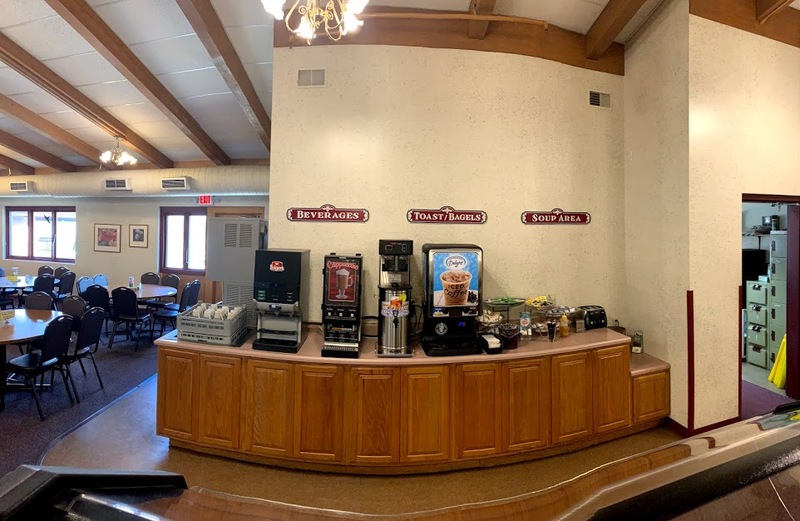 Meal service includes three buffet style meals daily in the dining room. Guests may choose to have morning, afternoon and evening snacks at an additional charge. 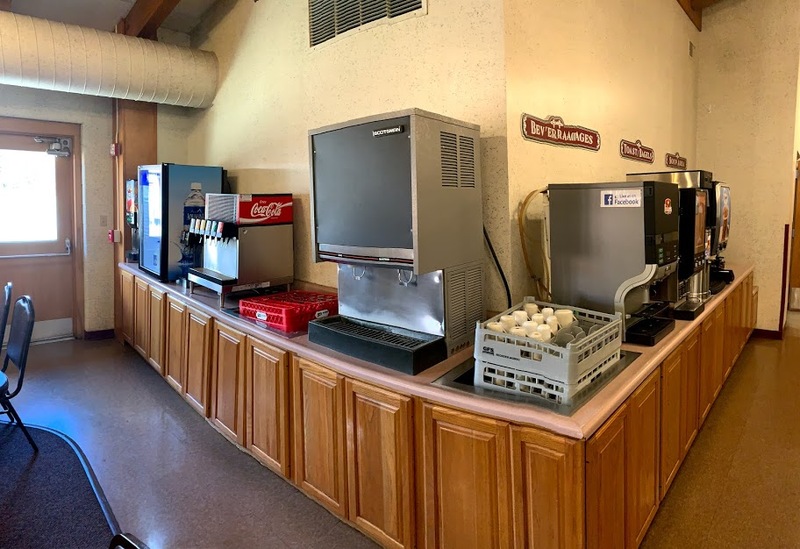 Continuous beverage service (including coffee, water, hot tea, cocoa and vending machines) are located on the lower levels of the Main Lodge and the Mawby Center. 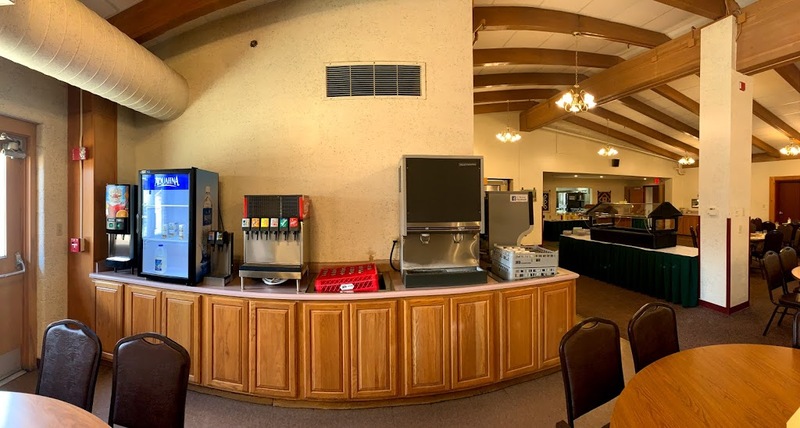 An ice machine is located in the dining room and Red Oak hall. We can enhance your dining experience to suit your needs. We offer boxed lunches, pizza parties, snacks, party trays, barbecues, themed parties, picnics, beach cookouts, and much more when arranged in advance. 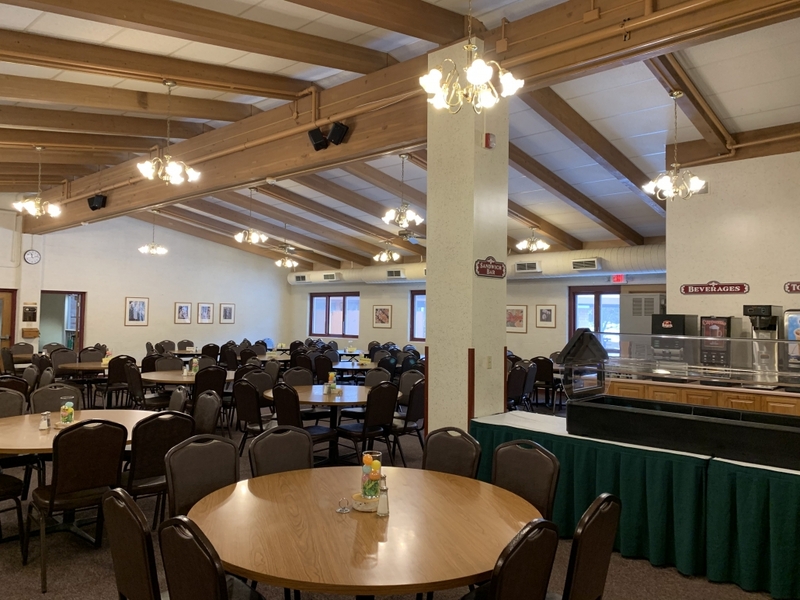 Whether yours is a family reunion, celebration, banquet, conference or retreat, Kettunen Center has the dining options for your group. Kettunen Center is not licensed to serve alcoholic beverages, but groups may bring their own for social functions with prior permission. 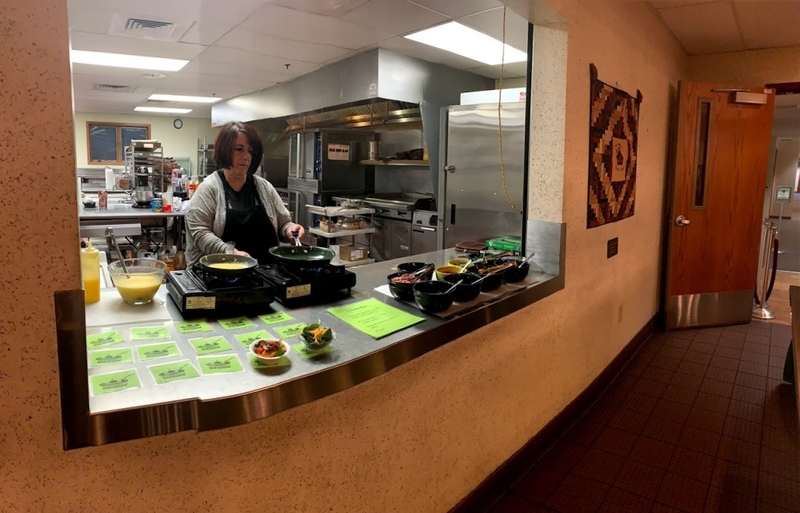 Our Head Cook and Food Manager, Diana Horton, along with the rest of Kettunen Center Food Services Staff are always available to help you. From banquets, to barbecues, you will always be pleased with our food quality and selection.